Amanda Kilmister died in a horrific accident with her 12-year-old son. Her husband Paul remains in a coma. THE family of a mother and son who were killed in a horrific truck crash have revealed they are "totally devastated". 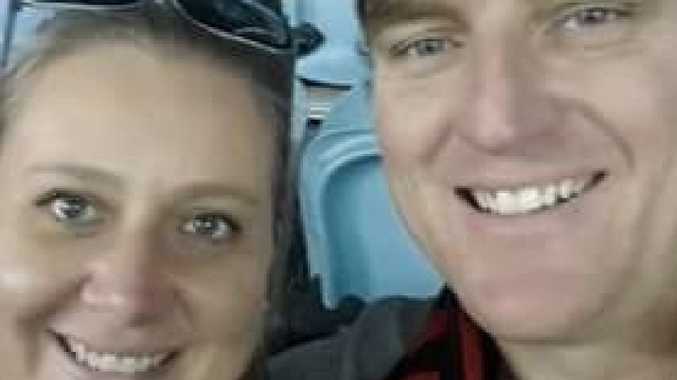 Amanda Kilmister, 37, and her son Harrison, 12, died in a crash in Victoria's north on the Murray Valley Highway at Brimin about 9.50pm on Friday. 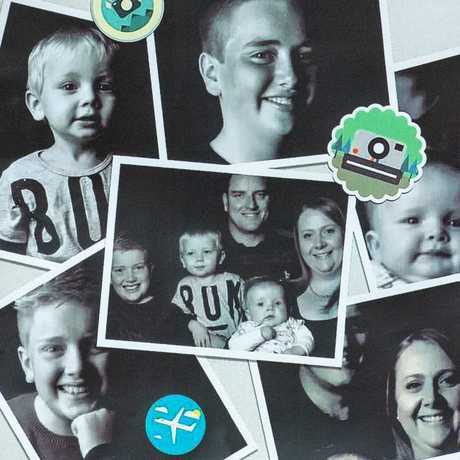 Amanda's husband and two other sons were critically injured in the crash. The Kilmister family were on their way back from dinner when a truck allegedly crossed to the wrong side of the road and smashed head-on into their Audi. 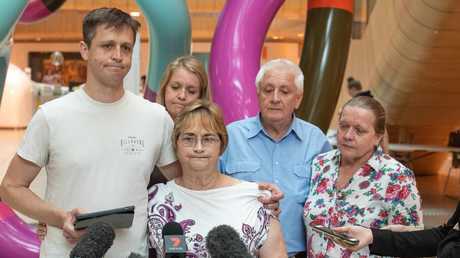 Despite the suffering of the family, Amanda's brother Daniel Gwynne issued an incredible message to the truck driver during a press conference yesterday. "Regardless of circumstance, an incident that happened in a few short minutes is likely to affect you for quite some time to come," Mr Gwynne said at the Royal Children's Hospital. "I hope that you have the love and support of your family to help you through this time." Also in the vehicle were Amanda's husband, 44-year-old Paul Kilmister and two other sons - Morgan, 2, and baby Austin. Morgan remarkably only suffered bruising and was expected to be discharged yesterday while eight-month-old Austin remains under sedation. Another son, Felix, 14, wasn't in the car at the time of the crash. Mr Kilmister, who is in a stable condition in a coma, has yet to be told his wife and son are dead. 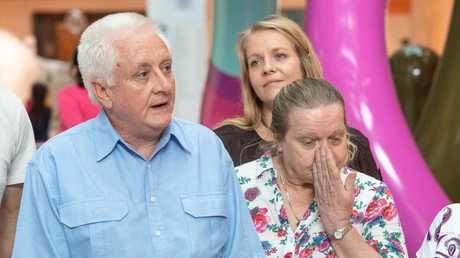 Mr Gwynne said the families were banding together to support the surviving children and work out a way to break the news to husband Paul. He said they don't know how they will explain the tragedy to him. "We've been totally devastated by the events over the past few days," Mr Gwynne said. "My sister was a really devoted mum. She absolutely loved her family, her husband, and her boys, and invested every bit of her life into supporting them and making them to be amazing young men. ABC reported that Mr Kilmister's mother, Christine, said the couple's eldest son, 14-year-old Felix, who wasn't in the car, has taken it upon himself to support his brothers until his father wakes up. "Young Felix has been talking to his dad, even though he's unconscious, talking to him about Austin, Morgan - but he hasn't mentioned Harrison or Mummy," she said. "So if it's true what they say and he knows what's going on, he'll know that something's wrong." 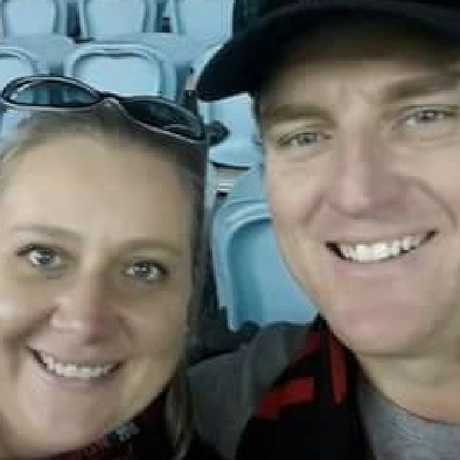 Amanda Kilmister, who died in the accident along with Harrison, 12, pictured with husband Paul. She said her family would do everything they could to support her son when he woke up and received the news. "He's not going to cope - I have to be honest - because he's devoted. His children and his wife were his life; that's what he worked for," she said. "You couldn't get two more loving a couple. Family was all there is." It has been reported that the 31-year-old driver of the truck, who suffered minor injuries in the accident, was working at the time of the crash and was taken to hospital for mandatory testing. He was released pending further inquiries by police on Saturday night. Victoria Police's Major Collision Unit is set to determine whether distraction, fatigue, speed or drugs were part of the accident.